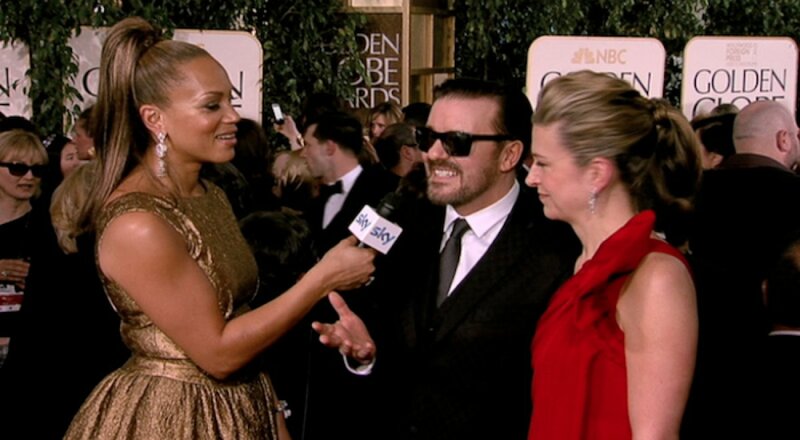 We were asked by Sky to produce their coverage of the 68th Golden Globes for Sky Living and Sky Movies. With a team on the red carpet in glamorous Hollywood, and one in the slightly less glitzy surroundings of a TV studio in Isleworth, we produced 4 and a half hours of A list, celeb packed entertainment presented by Angela Griffith and Alex Zane. Our live programming took us from pre-show through red carpet, studio items during the ceremony’s US ad breaks, to post show analysis. And as if that wasn’t enough content, overnight we edited a highlights show for the next day on Living. 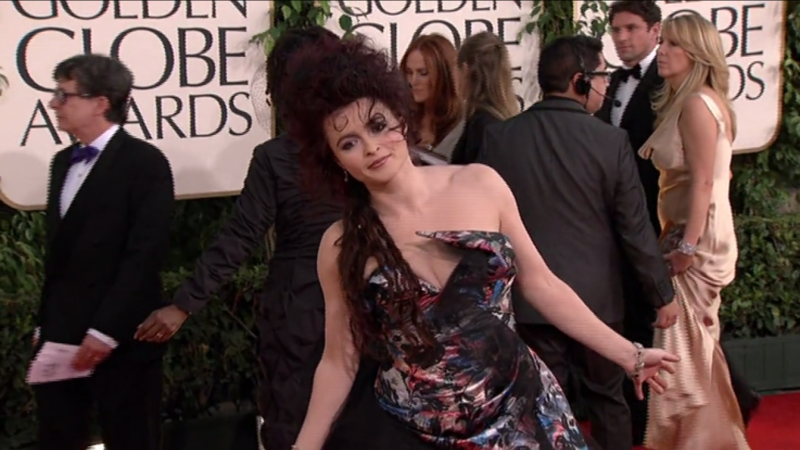 Angela held court on the red carpet chatting to everyone from Natalie Portman to Nicole Kidman, Steve Buscemi, Hugh Laurie and Helena Bonham Carter as well as the man himself Mr Gervais. Meanwhile Alex provided comedy and commentary on the show throughout the night aided and abetted by his studio guests, celebrity stylist Brix Smith- Start, comedian Jack Whitehall, Tom Feltham (aka Malfoy in Harry Potter) and writer/ actress Jessica Hynes.